Plate is Great For Dave! 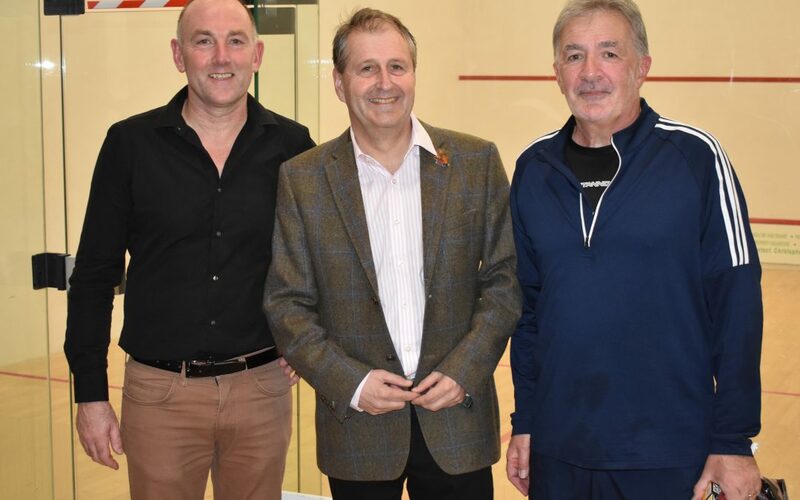 David Bassett has played squash for almost four decades, but hadn’t entered a tournament for around four years. He took the plunge for the recent Carver Cup – and ended up winning the Plate! So it proved a wise decision to take out the racket and enter the tournament, as Dave himself explains. “I have played squash for almost 40 years, but hadn’t really done an individual tournament for maybe four or five,” he says. “In a weak moment two or three of us decided to have a go, and I put a bit of WD40 on my squash racket cover to get the racket out, and went out there! “I have mainly been playing tennis or golf in recent times but I really enjoyed the Carver Cup, and it proved worthwhile! “It was a good tournament, really well organised as it always is down here where they do things the right way. 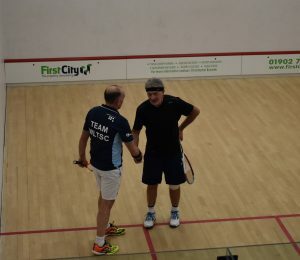 David came through the final against Steve Giddings by a 3-1 scoreline. The honours for the main event went to Beth Grinsell, who also won the same margin in an entertaining final against Simon Newell.